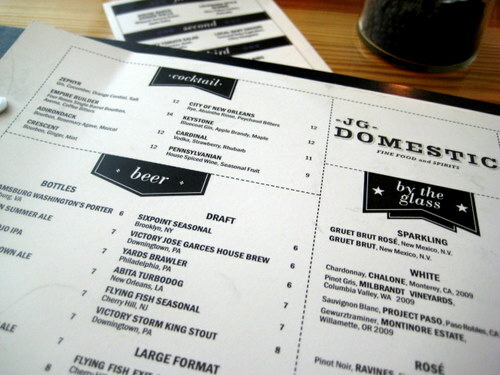 E and I went to one of JG Domestic‘s Sunday Suppers and had a veritable feast. When we saw the menu in advance, we thought oh, ok, we get to pick a starter, pick our meat, and pick some sides. Then we were informed by our server that we got EVERYTHING on the menu. We were floored… and also totally excited! There was also live music! 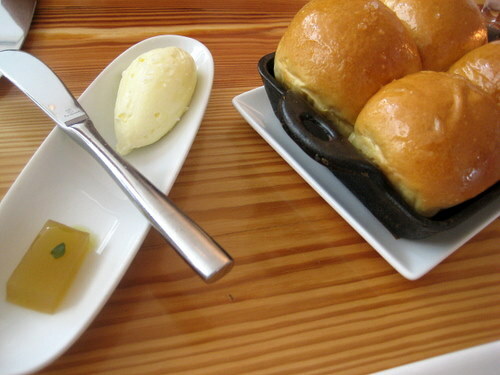 We first stared with the house baked dinner rolls, served with whipped vermont butter and apple gelee. Whoa, these were warm and buttery and delicious, but we both limited ourselves to one. We weren’t going to ruin ourselves for the rest of the meal. It’s all about pacing! Next up was the louisiana style gumbo with okra, pulled chicken, and andouille sausage. Man alive, I love gumbo! And I loved this version! 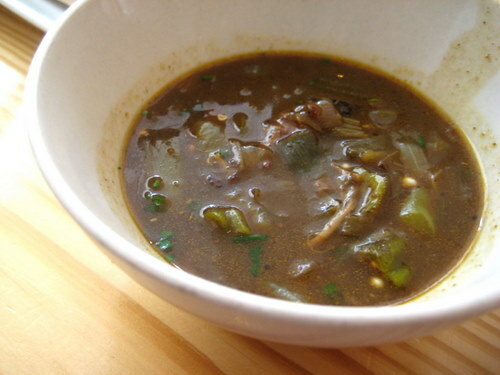 It was rich, thick, and hearty, and I love me some okra! 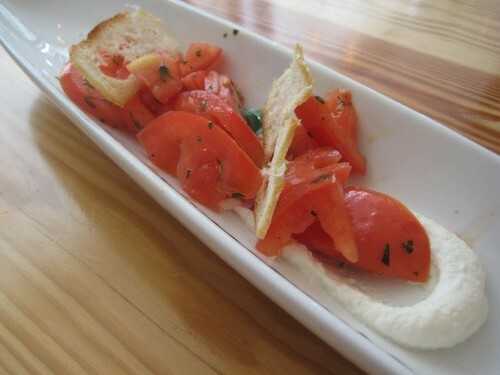 We moved onto the jersey tomato salad with garlic crouton, basil, and fresh ricotta. Tasty tomatoes are sometimes hard to come by, I know I often buy sucky ones. But these were sweet and juicy and full of the right flavors. They must have all the right connections! 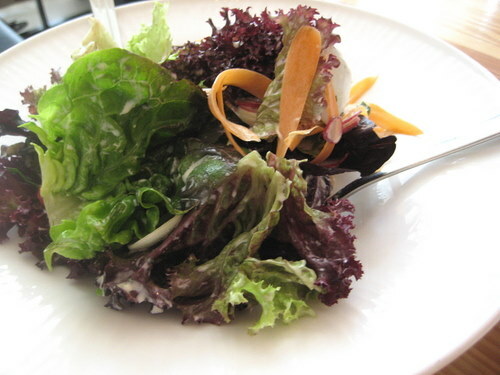 We also got a big bowl of local baby greens, seasoned baby veggies, with a citrus vinaigrette. This wasn’t a particularly exciting salad, but all the ingredients were top notch. Onto the meats! 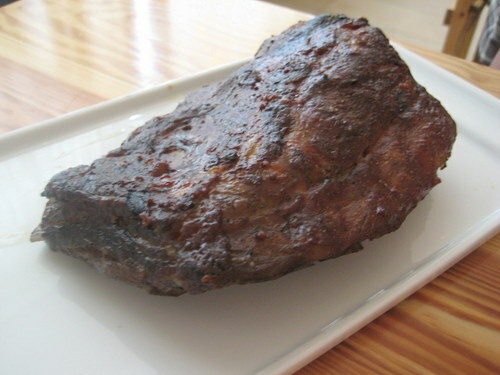 The smoked baby back pork ribs. Yum! There was plenty of tender meat on this and it had a nice smoky flavor. 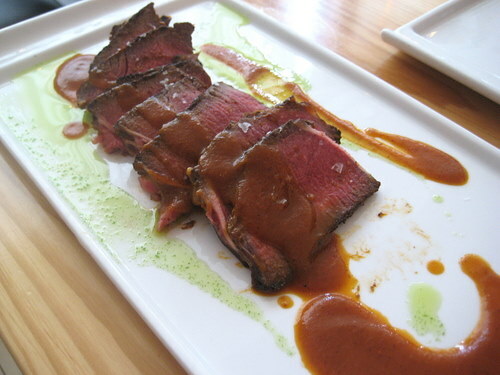 The other main entree was the fire roasted bbq london broil. Delicious! There were a few chewy bits but the sauces were nice and zesty. 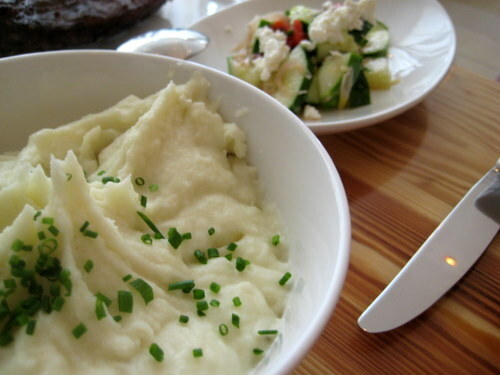 Here is a giant bowl of vermont cheddar and roasted garlic whipped potatoes. This was the only dish that we possibly could not finish. It was so much! We also had the chilled cucumber, roasted peppers, and feta salad. I love cucumber salads! Again, all their ingredients were of the highest quality. I need a connection to their hook-up! 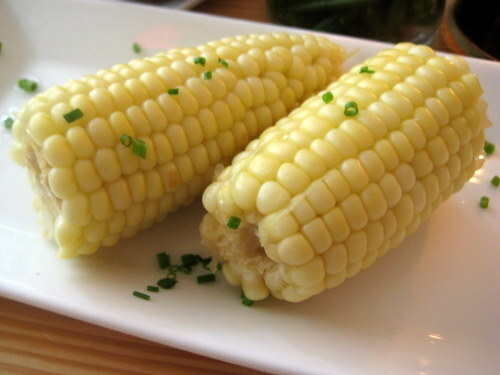 I am crazy about corn, and I am especially crazy about new jersey corn. Oh how I love jersey sweet corn on the cob! 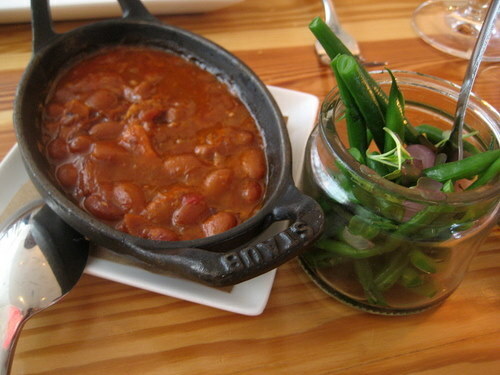 Here we have the bbq baked cranberry beans and some pickled green beans and pearl onions. Man, I think these baked beans were some of my absolute favorites of the night. And I loved these green beans as well, as I love beans when they’re very crispy and practically raw. I can’t stand limp green beans! As if we could eat any more, we ended the meal with the peach cobber with vanilla ice cream. The peaches in this were amazing and you could tell they were totally fresh! 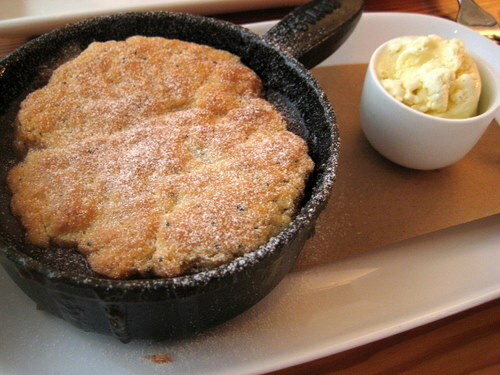 The topping to the cobbler was delicious as well, being some kind of lemony poppyseed bake. And the ice cream was plain yet perfect. The service was excellent and we just sat there for a long time after the meal and hung out and talked. They didn’t rush us and just let us enjoy ourselves. Considering the amount and quality of food you get, this is one of the most worthwhile prix fixe deals in the city. Go and give it a try!